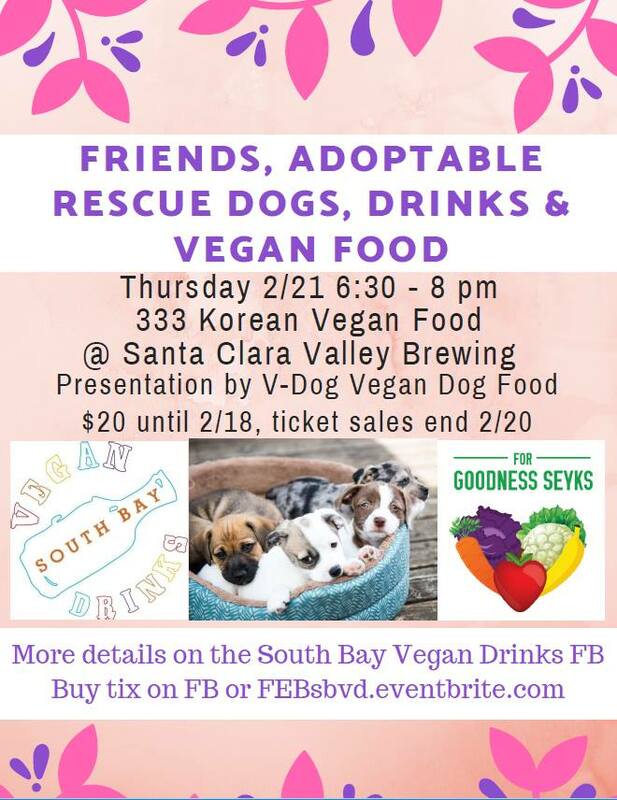 Adoptable dogs, amazing vegan food from 333 Korean, discounts on beer from the fabulous Santa Clara Valley Brewing and friends to spend time with. Doesn’t get much better than that, right?! Newbies welcome! Come meet lots of vegans, veg-curious and a few vegan wannabees. Everyone is welcome, it’s going to be a GREAT time. + A full dinner from a vegan food vendor (333 Korean). + A quick educational presentation from Lindsay Rubin, the Vice President of V-Dog, discussing vegan dog food. * Please note that dog adoptions will not take place at the event but we’ll be happy to accept applications!